Sweet heat with a sticky gooey crisp finish is a winning formula for the ultimate wing. Use as an impromptu appetizer for a crowd or for main course. Drumsticks and thighs also work for this recipe. 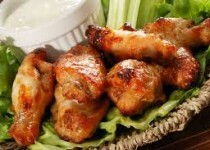 1) Combine in a zip-lock bag the chicken wings, 4 tbsp Garlic Chili Lime Chicken Splash and oil, mix together and seal. Place in refrigerator overnight for minimum 2 hours. 2) FINISHING SAUCE; Mix honey with grated garlic and remaining 2 tbsp. Garlic Chili Lime Chick Splash. Set aside. 3) Preheat oven to 425F. Line a cookie sheet with parchment paper. 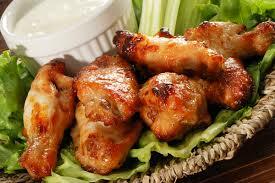 Remove chicken wings from zip-lock (discard marinade) and spread on parchment, spacing in-between pieces. 4) Bake 15 minutes. Remove, turn wings and brush with the finishing sauce. Bake an additional 10-15 minutes. Wings will brown. For extra crunch, cook a few minutes longer.